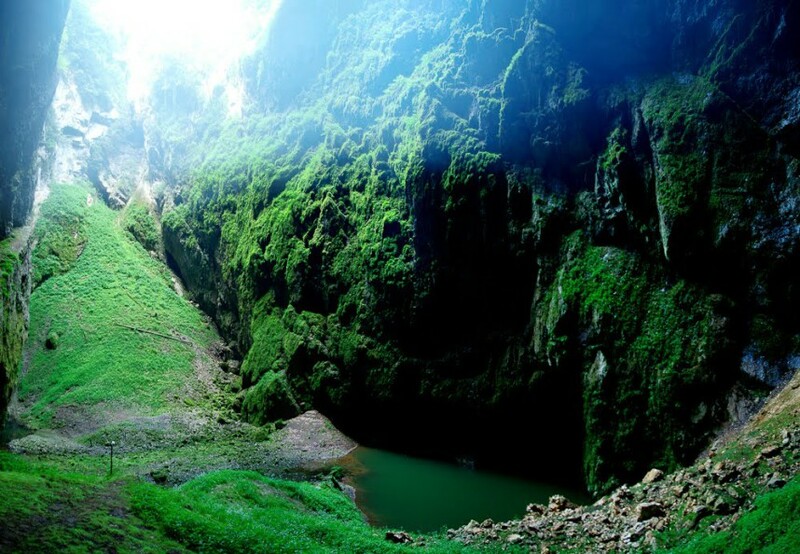 Macocha Abyss is located in the Moravian Karst in Czech Republic. This is the main attraction in the region. 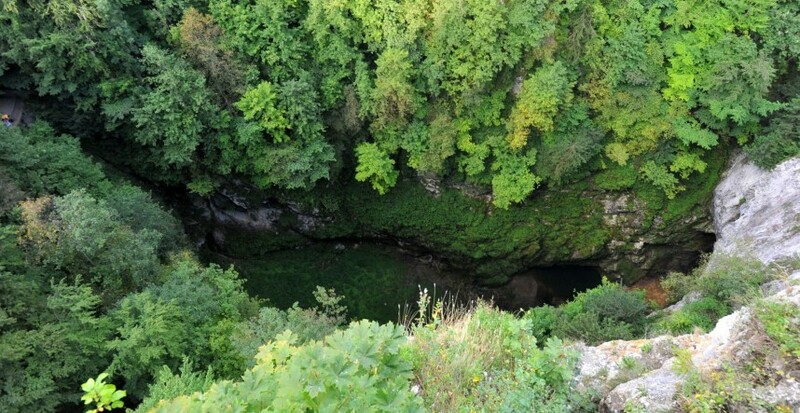 The abyss is 138 m deep and is one of the natural wonders of the country which will surprise every visitor. 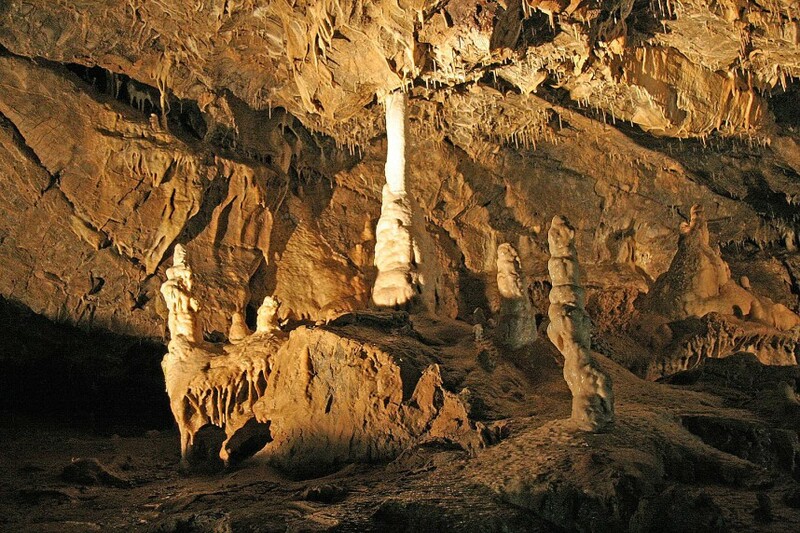 Macocha Abyss is a monumental part of the five Punkva caves of the so-called “light-hole” type which arose by gradual falling of huge cave space with several floors. The abyss continues under the surface of Down small lake to the proved total depth of 187,5m. The first written note about the abyss comes from 1663 and the first historically proved descent to its floor was made from the spot of the present lower landing stage by the minor Lazarus Shopper in 1723. 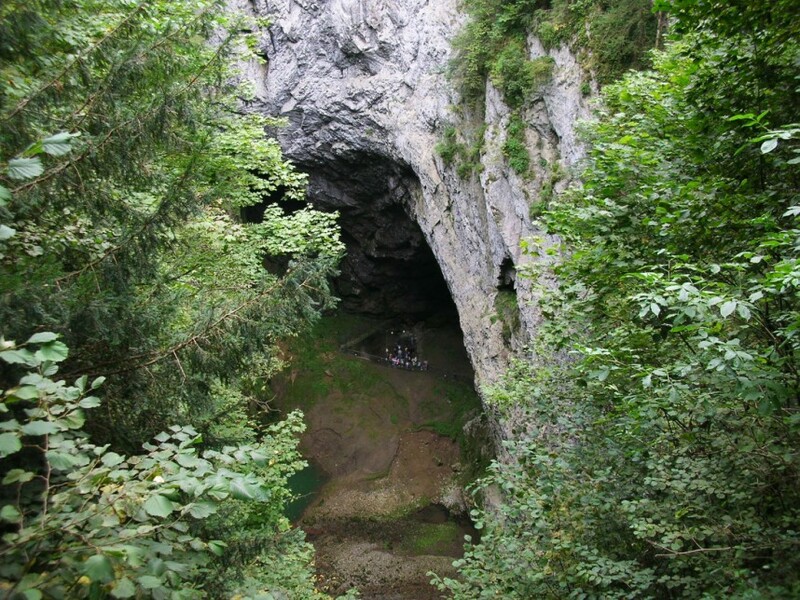 At the beginning of the 20th century professor Karel Absolon made wide research of the Macocha Abyss. He organized several descents of groups of research workers who stayed in the abyss for several days. 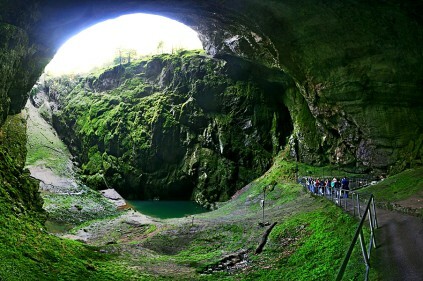 Professor investigated Macocha floor and gradually discovered the Punkva caves and Macocha water cathedrals – areas where the river Punkva flows through. Nowadays it is possible to have a look at Macocha depth from two sightseeing boards accessible from the tourist chalet or from the pathway leading from the Punkva caves. 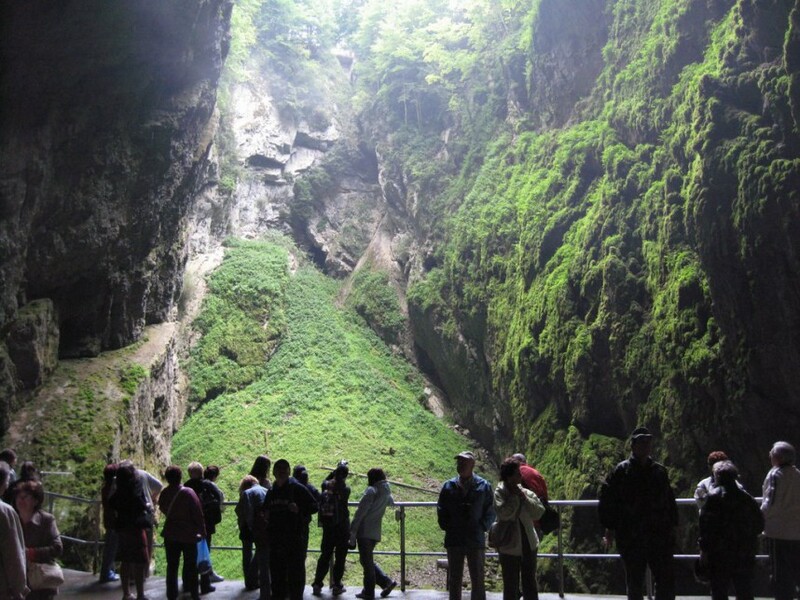 Since 1914 Macocha floor is an integral part of a visit to the Punkva caves. 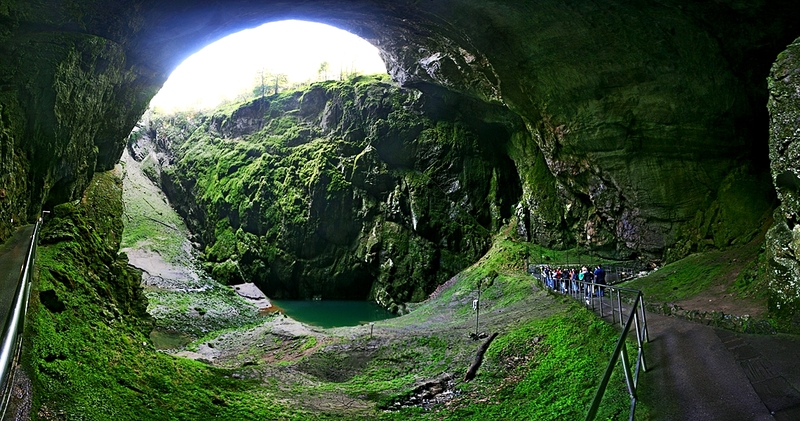 The pavement for visitors is safe and goes under the rock overhangs and the huge portal of the cave cathedral. Both of the two lakes: Upper (13m deep) and Lower (49 m deep) have remarkable water state. Their surfaces waver and during extreme floods their levels are about some meters higher and the abyss floor is flooded. Extreme water amount comes from Amateur cave. 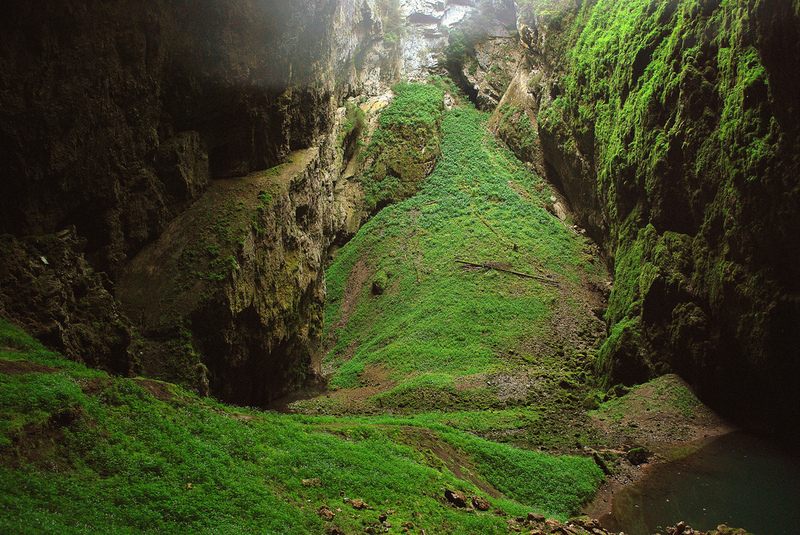 The inverse microclimate of the abyss floor with the constant low temperature and high dampness formed special vegetation of race and endangered species of plants.